One of my great regrets is that I took so long to discover Ōkami. After years of ignoring it because just about everyone chalked it up as a "Zelda clone", a formula that I've never been that invested in, I finally played the HD remaster on the PlayStation 4. And when I did, I almost instantly realised just how wrong just about everyone was about it. The Nintendo Switch port of Ōkami HD adds a couple of little hardware features centred around the motion controllers, but they're neither here nor there. The real benefit of Ōkami HD on Switch is to have the game in a portable format for the first time. That is a major benefit, to be sure, and every time I play Okami going forward it will be on the Switch for that reason, but that fact in itself doesn't make for an overly interesting or in-depth review. Rather than completely retread what I wrote only a few months ago in reviewing the PlayStation 4 version of the game, I'm going to use this review to address that false equivalence that too many people see in the Zelda series and Ōkami. 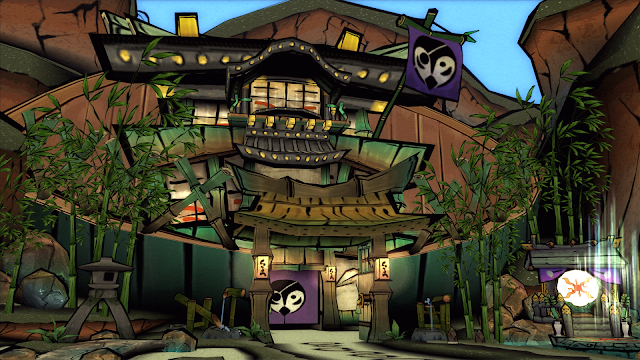 Ōkami is Shinto spirituality manifested as a video game. For people who are not familiar with Shinto, it is a beautiful, traditional religion that is effectively exclusive to Japanese culture. 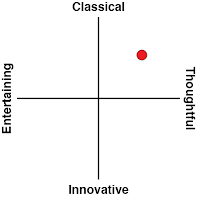 And yes, it's distinct to Buddhism. I know a lot of tourists that go to Japan and struggle to understand the difference between a Shinto shrine and Buddhist temple, but there are substantial differences in beliefs between the two. One of the core tenants of Shinto - perhaps its very core tenant - is that everything has a spirit, whether that thing is living or inanimate, and it's important to both respect it and live in harmony to it. Applied to everyday life, it has meant that over the centuries Japanese culture has developed a depth to how it interacts with just about everything. Creating sake or tea isn't just about fermenting rice or trying out leaves, respectively. It's not a mechanical creation process. It's about understanding and learning how to work with those ingredients. That outlook on life means that, firstly, Japan's culture, ancient as it is, has a depth and heritage that infuses any cultural products that it creates. Which is where Ōkami comes in. It's a genuine cultural artefact. Because it's so explicitly a product of Shinto spirituality, the game has a depth to it that the Zelda franchise simply doesn't have. Nintendo's games are always of a very high quality, of course, and provide incredible adventures. That's why there's such a large fan base for the Zelda series. 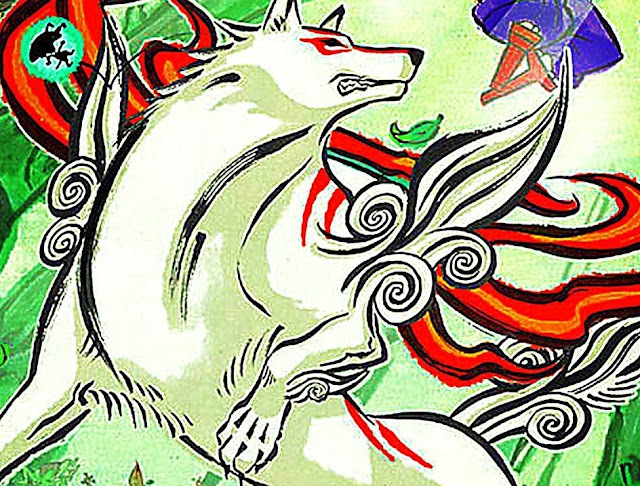 Often the Zelda games touch on Shinto ideas and philosophy themselves, but it's never as cohesive as Ōkami, and as such, Ōkami feels like a far more potent, and important, work. Zelda games are entertainment. Ōkami it telling us something about the Japanese mindset. And you will learn a lot, if you let yourself. Ōkami tells the story of a journey and search for "mystical brushes", or gods (kami), each of which will give Amaterasu, the wolf protagonist (and greatest of the Shinto pantheon), the power that she needs to defeat a great evil that is bringing darkness and disaster to the land. Those kami that you come across all reference back to, again, Shinto stories and beliefs. Did you know that the Japanese have a saying that rabbits come from the moon, and that's because to the Japanese eye, the shadow that you see in the face of the moon looks like that of a rabbit hard at work creating mochi (rice cake)? That story is one of dozens that are referenced throughout Ōkami. I really recommend doing some research as you play though this game to fully appreciate the depth of the references that are built into its storytelling. It would be like if someone made an adventure game that was structured around Aesop's Fables; there's such a rich tapestry of storytelling in there that it would almost seem like a waste not to fully unpack it all. Complementing the storytelling is one of the most beautiful examples of visual design that you will ever see in a video game. Ōkami looks like a blend of ukiyo-e design (Japan's own printed aesthetic, and effectively the forerunner to modern day comics and manga), and watercolours taken directly off a Japanese master painter's brush. 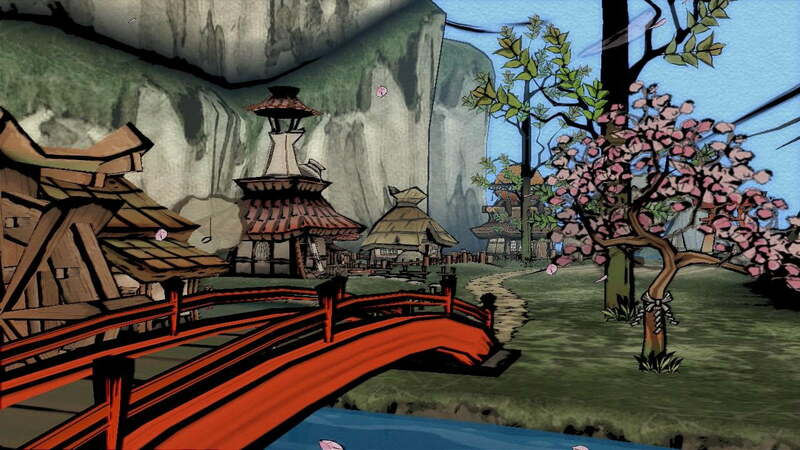 This thematically suits the gameplay, because much of Ōkami involves using a "celestial brush" to solve puzzles and defeat enemies in combat, but even beyond that, it's a simply beautiful effect that means that Ōkami doesn't look like it has aged a day from its original release way back when. Zelda games, by contrast, are far less risky in visual design. 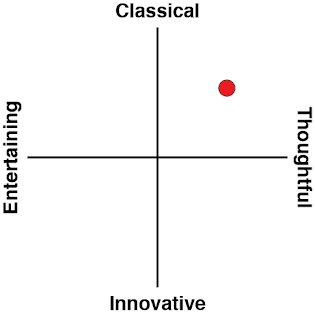 They're always technically brilliant and visually impressive, but in such a way that they're culturally neutral. Just about everyone would find a Zelda title a visual feast. Ōkami is only going to appeal to people who find ukiyo-e visually pleasing. As we all know, Ōkami has consistently struggled to find a commercial audience. That's not by coincidence; the more creative risks that you take, the more people you're likely to put off, and one look at any one screenshot of Ōkami is all you need to know that it will put some people off it. But, again, that risk also means that Ōkami is a genuine product of Japan, whereas the Zelda series is culturally neutral. That's not to criticise Zelda, but it amazes me that so many people are so willing to compare the two on the basis of structural similarities when the two are thematically, aesthetically, and narratively incomparable.